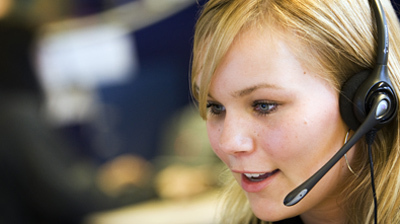 In one quick call, our friendly agent will connect you with an experienced local cabinet refacing expert who can help you improve the look and feel of your home. This call is totally FREE. There is no obligation to purchase anything we recommend. Homeowners often wonder whether they should replace their kitchen cabinets or reface them. Have others in your neighborhood remodeled their kitchen in the past few years (keeping up w/ the Jones)? How much longer will you remain in your house? 3. We're not leaving, ever! Why are you remodeling the kitchen? 5. 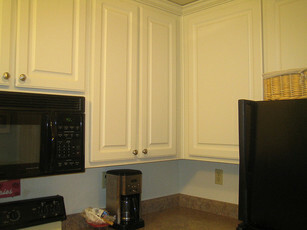 Replace worn/broken things: kitchen cabinet doors adhering, etc. Is the value of your home going up? If you answered any of these questions with answer 1., then refacing your cabinets, rather than replacing them, may be the best solution. Otherwise, your best bet is to buy new cabinets. What Does Cabinet Refacing Entail? "Refacing" means replacing doors and drawer fronts and putting a veneer onto the old cabinetry to improve the look. Some refacers also replace the drawers and glide system and add other features like new knobs and carousels that add new functionality to your kitchen. * Existing traffic, storage and workspace issues are not resolved. * Future changes to floor plan means buying new cabinets anyway. The same goes for wallpaper and floor coverings. * You can't change the functionality of your cabinets - such as adding a wine cooler or dishwasher, etc. * Warranties are for new materials only. The entire cabinet system is not covered. * You can improve workflow, traffic and storage areas. * You can upgrade your sink and countertops. * Upgrade to a stronger, more durable cabinet system. * More look and feel options, such as solid wood face frames rather than veneer placed on the surface. * The entire cabinet system is warrantied. When the increase in home value of a cabinet upgrade is taken into account, the total cost difference between replacing and refacing kitchen cabinets is often not that much. Replacing cabinets allows you to upgrade your appliances, sinks, countertops and floor covering, which means the value added to your home's market price is greater. Sometimes, the difference between these two options is as little as 10%.